Disclaimer: The Shoxy Hibiki MK2 Atlas sent to us for the purposes of this review is a sample and does not have to be returned. Thank you to Shozy for giving us this opportunity. 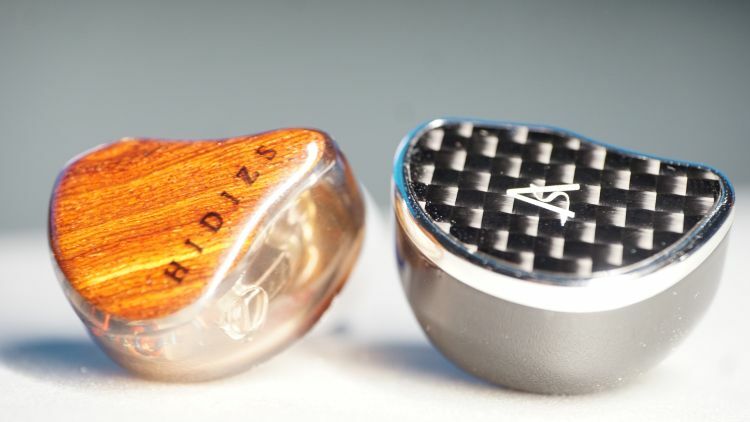 Almost exactly one year ago, Shozy sent me a sample of their Hibiki IEM to enjoy and review at my leisure. At the time, I purchased an expensive bottle of Hibiki Japanese Whiskey just for the review. I am sad to report that the bottle is totally digested now. Sorry. No awesome Hibiki Whiskey + Hibiki IEM photos this time, unless someone knows the makers of Hibiki Whiskey and wants to send me as a sampler of all their different types of alcohol? Oh goodness, it was so yummy…but, is the new Hibiki MK2 also as tasty? For $65.99USD, Shozy includes a small box that looks and feels generic. The box has a nifty molded inset for the Hibiki and cable, as well as 3 silicone tips of varying sizing that are included. Along with a manual/info packet, nothing else inside. Truly, I don’t want a fancy box at this price point. I don’t really want to say more here. The box is standard, it has some art on it and it looks cool. The box is cardboard. Not much else going on there to report. The Hibiki MK2 (which I will be referring to as MK2 henceforth) is adorned with carbon fiber plates and what appears to be a chromed painted plastic exterior. 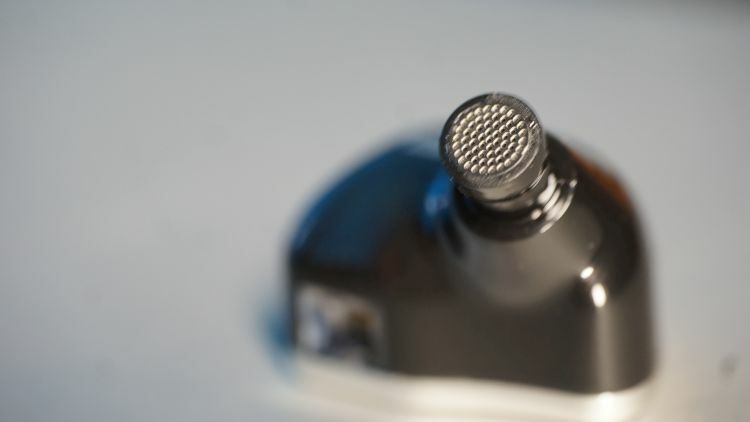 The inner ear areas of the IEM that face away from the plate areas are a soft and smooth material that feels very slick. 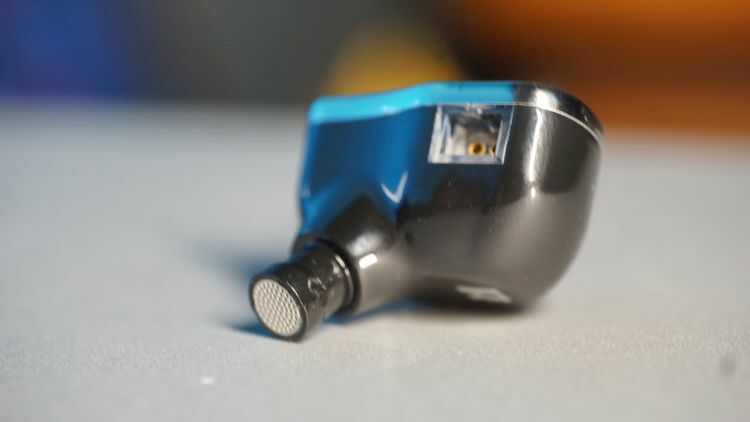 The nozzle grills, like the previous model, are hefty and appear to be metal and that is what I want to see and feel in an IEM of this caliber. For the price, you can’t really do better than a solid metal, solid wood or carbon fiber. For now, I get half of that with just carbon fiber plates and plastic exteriors, but I don’t feel like the plastic really makes much headway in the overall tonality of the product. So, that is a good thing, I suppose. Shozy has recessed the 2pin sockets, which means it is very hard to acquire a custom cable for use with this model. I feel like a sub-$100 IEM typically wouldn’t receive a custom intrigue by most audiophiles, but I am sure they are out there. It is fine. Really. 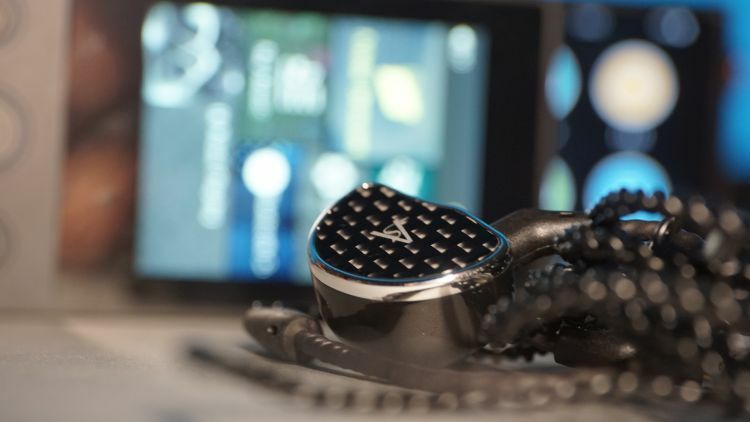 The custom cable will likely cost more than the IEM itself anyway. 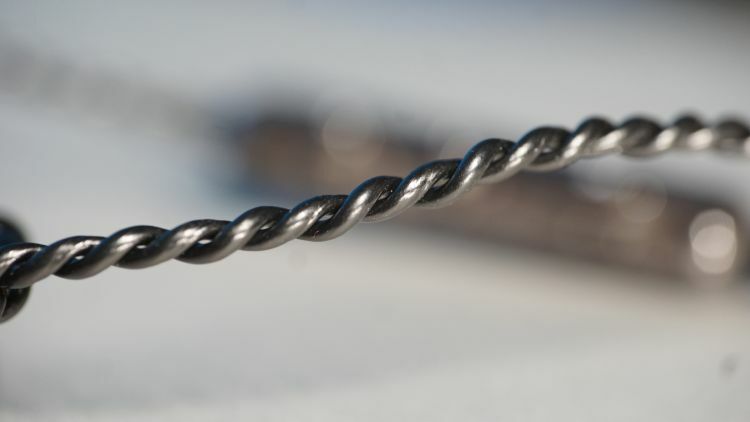 For now, it is 26AWG that comes in black that appears twisted and braided maybe. It also has an inline remote. Ugh. I really hate this. I feel like the sound quality of the product is well into the audiophile budget tier and outside of general consumer grade. So I feel like all inline remotes in that tier have no business being there. And if so, I want a spare 3.5mm without a mic on it that I can use. This makes me upset because the sockets are recessed and it is hard to get another cable to replace what comes with it. Just like the past model, the new one has a very smooth and excellent response to bass when the track calls for it. But, like the past model, requires EQ to boost the bottom end to feel more fleshed out and full sounding. If you are into bass, this still isn’t for you. Although, side by side with the MK1 Hibiki, the bass feels just a bit more potent and deep on a flat EQ on the newer MK2. They’ve tuned in just a bit extra bass, but also cleaned up the fidelity as well. No doubt, the new model showcases more cleanliness in the subregions by an audible degree. I had found the first Hibiki to be one of the better bass quality IEM’s out there for the price and I think the MK2 is just a bit better in raw quality. Responsiveness to EQ hasn’t changed, it still requires too much bass boosting to change much. If you are a basshead, as I am, the demand for more quantity will come at a massive cost to quality. I don’t hear much of a difference between the two models in quality. Both are moderately sweet feeling in the upper midrange and respond so vividly well to vocalist tracks. In fact, I am pretty sure that in the sub $100 tier, these two Hibiki’s might be standing alone unless you go into the used market and opt for a Flare Audio R2A from a few years ago. I still agree with past Mike, who said that the daily commuter will enjoy the first MK1. So too, they will enjoy the MK2 probably a bit more due to the slightly better bass experience on a flat EQ. That small boost down below gives a lot of headway to the midrange and makes the experience feel more complete as a whole. They didn’t go overboard, thankfully. Shozy toned back the forwardness appeal of the last model with this new MK2. It feels just a bit more relaxed. Not too much, but noticeably less forward than the past model. I would have preferred a more specialized product, as you don’t see many risk takers in this pricing tier that will cater to specific types of listeners. Instead, Shozy seems to be opting for a broader reach, which from a business standpoint is just fine. But, I want to see action and risk. I want a specialized vocalist or a bass head $65 IEM. Something intended for someone who wants something specific without losing too much of anything else. I feel like this is more of the same, instead of a new thing. I realize it is an MK2 of the product. That is all well and good. However, I just don’t hear anything that really pulls me into the experience outside of the dense and nice tonality of the treble experience. I feel like this model could have been something a lot nicer, if they would have boosted the bass a little, and perhaps also, not touched the midrange. I felt like the midrange appealed to a broader audience where it was placed in the MK1. Sure, the difference it small in presentation, but less of what I consider a great physical placement in the MK2 means that is isn’t as appealing to that wider and broader listening type. It almost appeals to slightly relaxed midrange enthusiasts only, at least in my opinion. Not much has changed in the way of quality up top. However, tonality seems very different. Thankfully, in a positive manner. The tonality and density factor of the entire upper end is marvelous. It still feels very aired out for the price. Fluff factor and a sense of spaciousness are important. This time, however, fluff is replaced with a stronger sense of density and physicality. Airiness factor is still there and pretty similar, although, maybe, a little superior in the MK2. The biggest difference is the treble density factor. The MK2 sounds of a higher quality in that regard. So too, it also doesn’t hit as hard as the MK1 and feels a little softer on impact. I consider the entire top end of the IEM to be quite beautiful in that regard and extremely enjoyable. No, I do not think it is clinical in tonality and appeal. I think the opposite. I think it is tuned to be very slightly into what I would consider the musical tonality category of presentation. Just like the MK1, EQ boosting is possible and results in good differentials. Meaning, raising the EQ on the top end a bit will result in audible differences before things get wrecked in fidelity. The EQ responsiveness factor is good on this model, but it was also very good on the MK1. Due to the increased treble quality, at least, in my opinion, the MK2 showcases a noticeably deeper soundstage presentation than the original Hibiki. The overall realism factor and coherency is just a little better, but not by much. The overall height and width factor feel the same to me, as well as the general shape. But, that isn’t surprising. The midrange is exactly the same, so I don’t feel like there are any differences in recessive or forward tendency at all. That overall airy flare to the Hibiki is present in this MK2 but enhanced a few notches more. 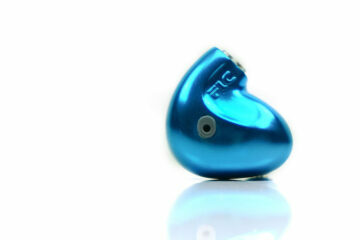 They still do not sound effortless in comparison to some other IEM’s in the tier. But, that is now only a quality that I’ve felt to exist in the midrange and bass end. Where the new MK2 feels more effortless and realistic than the MK1 in the treble, everything else still feels a bit too underwhelming with regard to quickness and dynamic impact. Physical slam factor on the treble end is lessened by a noticeable and very enjoyable degree. However, the bottom end still slams a bit too harshly for me when the track calls for it. It feels odd to have a lush, dense feeling treble that feels softer on approach, nearly at all times, and also have a dynamically engaging bass end at the same time. I am not fond of that type of a sound and I feel like the entire experience feels “wonky” again, as I mentioned in the last review. I am not a fan of clinical dynamics. In fact, I really hate it on a subjective level. I don’t want to wince and wince more with more volume. I am glad the treble doesn’t have this issue, but I find it hard to bass boost to acquire more quantity enough to feel like the experience is more full sounding, but as a result of that, gets a more dynamic impact that I am not fond of. It is severe? No, not severe. It is just outside the realm of what I would consider something not relaxing, but instead, very engaging. Shozy knows what they are doing. The last Hibiki was one of the best IEM’s in the price range and this new MK2 is now only $5USD more and has certainly improved on some of what the MK1 offered. I considered the original a best buy product. Once more, I consider the MK2 an even better deal. Sadly, I still think the lacking bass quantity, on a flat EQ, lends too much of a lopsided sound signature to the entire experience. The tonality of the treble made that worse for me because the MK1 treble tonality wasn’t as dense or soft in appeal. In that regard, the MK1 felt less lopsided than the MK2. This isn’t really a big problem for listeners unless you are critical. If you are a purist, odds are good you will think the bass-light+forward mids+soft treble experience is a bit too odd to enjoy and I think that lowers the MK2’s matchability just a bit behind the original. However, the musical enthusiasts, such as myself, will really enjoy the upper mids and treble experience, as well as the overall tendency to sound nicely aired out, spacious and coherent. All of those qualities in $65USD IEM is a hell of a deal. Shozy did well here.